This powerful anti-aging serum helps to prevent photo-aging, fine lines and loss of elasticity. This daytime treatment neutralizes the damaging effects of UVA/UVB rays, stimulates collagen and elastin growth with Vitamin C-rich L-ascorbic acid and Magnesium Ascorbyl Phosphate. Contains a 20% Vitamin C compound. Leaves skin more luminous, firm and younger-looking. Defends skin against aging free radicals. I use this daily under the Magic Dry Ice, and it's really nice. 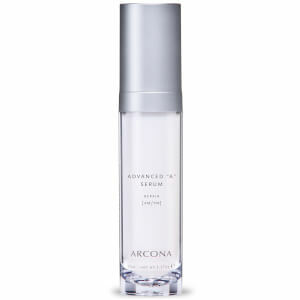 Highly recommend all of Arcona's products. Great value for the price to be able to get natural products. The texture is like water, not exactly easy to apply. It also burned and tingled everytime I used it. Wasn't impressed and won't be purchasing it again. I have been using Obagi C Serum 20% for the last 6 +months and decided to go with this product when I needed to renew because it was less expensive and a pevious review stated that this product line was better than Obagi & more up to date. I have to disagree...although this product is good- lightweight, absorbs quickly and you can actually put on the eye area...I don't see the quick results I did with Obagi. Obagi is a little heavier however it really made my skin glow and look healthy immediately and I do not really see the same results with Arcona youth serum. I get compliments on my skin all the time and I have to give the credt to the Obagi line. I will go back to Obagi when I am done with the bottle. It is worth the extra $$. I had been using Youth Serum since 2007 since I started using the Arcona line, and didn't realize what a huge difference it was making in the overall texture and clarity of my skin until i STOPPED using it! I ordered it from a store in LA before I discovered skinstore.com, and it came to me damaged and leaked. The owner would not replace it, so I went without it for about 4-5 months and there was a noticeable difference (not for the best) in my skin--it was not as clear and smooth, and It looked like I was starting to age! I promptly started using it again and saw immediate results. 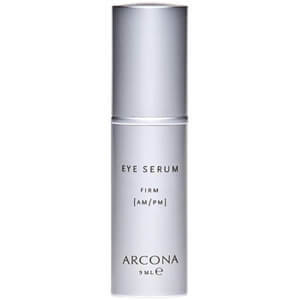 I like this vitamin C serum because it is so potent and pure, and I really like to stick with Arcona because if you look at ingredients no other line compares! I use the youth serum every morning underneath magic white ice and desert mist. I really notice less lines on my face and especially my neck. excellent Vitamin c serum under $100! I have used all the top vitamin C serums and this one is less oily than some and the % of "C" appears to be high enough to make a difference. My dermatologist recommends "C" as part of my regime. 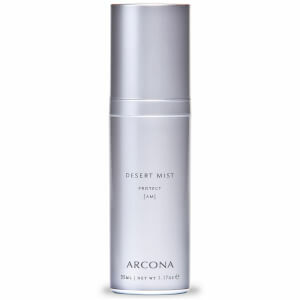 I love this one for it's fresh scent and Arcona is an awesome company. It goes on almost like a toner rather than an actual serum. All the vit C products seem to be like this. I use it every morning and I do see a difference in the tone of my skin. I use this serum in the winter since my skin is combination and in DC's summer humidity this serum is simply too moisturizing for me. But if you have drier skin or live in a drier climate, this is the perfect vitamin C serum. Superb quality ingredients, great scent, and easy to apply. 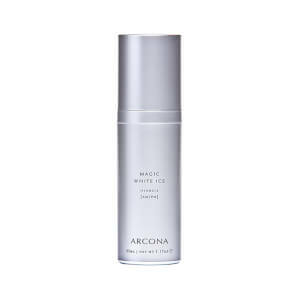 You can't go wrong with ARCONA products, in my opinion. I will go back to using this serum when it gets drier/cooler here in DC.